The due process hearing in this case convened on February 14, 15, 16, 17, 25 and 28, 2011, and March 1 and 2, 2011, before Timothy L. Newlove, Administrative Law Judge (ALJ) from the Office of Administrative Hearings (OAH), State of California. Vivian Billups, attorney at law, represented the Redlands Unified School District (Redlands or District) and the East Valley Special Education Local Plan Area (East Valley SELPA). Cheryl Sjostrom, District Special Services Director, and Laura Chism, District Program Specialist, attended each day of the hearing. Mark Woodsmall, attorney at law, represented Student at the due process hearing. Student’s mother (Mother) attended each day of the hearing. On January 5, 2011, the District and East Valley SELPA, through their attorney, filed with OAH a Request for Due Process Hearing. Based upon a dispute regarding service of the complaint, OAH deemed that the Request for Due Process Hearing was filed on January 14, 2011. At the close of the hearing, the parties agreed to a briefing schedule, and to submit briefs no longer than 40 pages. On March 21, 2011, the attorneys representing both the District and Student submitted closing briefs. The ALJ marked the District’s brief as Exhibit D-48, and Student’s brief as Exhibit S-73, and closed the record. Thereafter, Student filed with OAH a lengthy document entitled “Student’s Closing Brief, Attachment A,” and the District countered with a document entitled “Objections to Respondent’s Closing Argument.” The ALJ has not considered these additional written materials and they are not part of the record of the case. 2. Was the District’s speech and language assessment of Student appropriate? 3. Was the District’s psychoeducational assessment of Student appropriate? 4. In the June 15, 2010 individualized education program, did the District offer Student a free appropriate public education in the least restrictive environment? 5. Did the District provide Parents with appropriate prior written notice? Student is a child with autism who has made great strides in the last several years. For the 2009-2010 school year, the District agreed to fund Student’s placement at a nonpublic school where he has thrived. For the current school year, the District proposed to return Student to a public school setting, but his Parents refused consent. 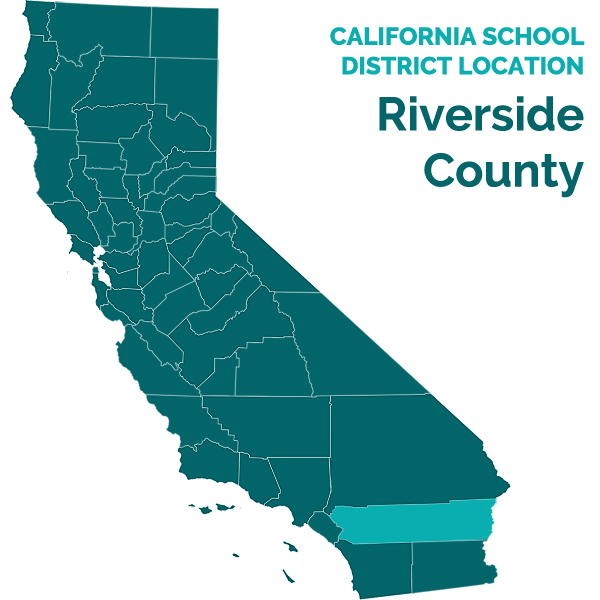 In this case, Redlands Unified School District and the East Valley SELPA seek to uphold both assessments of Student and a June 2010 individualized education program (IEP) that offered to place Student at a local elementary school. While Student has raised a number of objections to the evaluations and the educational plan, the overarching theme of the defense in this case is that Parents prefer the nonpublic school placement. However, the District is not held to a standard of parental preference. For the following reasons, this Decision determines that the District performed appropriate assessments of Student. The Decision also determines that the June 2010 IEP offered a special education program that was reasonably calculated to provide educational benefit in the least restrictive environment. 1. The Student in this case is a 10-year-and-nine-month-old male who resides with his Parents and older sister within the boundaries of the Redlands Unified School District which is part of the East Valley SELPA. Student has a diagnosis of autism. He also has diagnoses of expressive-receptive language disorder, central auditory processing disorder, and sensory integration processing disorder. For the 2010-2011 school year, Student is attending third grade at the Speech and Language Development Center, a nonpublic school located in Buena Park, California. 2. Student is a friendly child who is eager to please the adults in his life. He has limited cognitive abilities and concomitant difficulty in paying attention and concentrating on school work. As a consequence, Student has delayed academic skills. His knowledge of receptive and expressive language is limited, and he has great difficulty with mathematical concepts. While he has emerging social skills, Student lacks the ability to understand interpersonal communication such as voice inflection, facial gestures and turn-taking. Student also has difficulties in planning body movements, and he engages in self-stimulatory and sensory-seeking activities. 3. Student is treated by a developmental and behavioral pediatrician who has prescribed Zoloft for anxiety. He has intermittent hearing loss in his left ear, probably as the result of ear infections. His Parents have adopted for him the Defeat Autism Now protocols which include dietary supplements, chelation therapy, hypobaric oxygen tank treatment, and a diet free of gluten (products with wheat, rye and barley) and casein (dairy products). Student is otherwise an active boy who enjoys sports which include surfing, skateboarding, golfing and rock climbing. 4. Student attended kindergarten at a District school called Mariposa Elementary for the 2006-2007 school year. Student attended first grade at the same school for most of the 2007-2008 school year. In early June 2008, Parents removed Student from Mariposa Elementary. In a letter dated June 2, 2008, Mother informed the District Special Services Coordinator that “(A)t school, (Student) is stressed and dis-regulated to the point of eating rocks, and he is tantrumming if asked to interact with peers on the playground. I feel that he is in a dangerous, regressive environment with an unprepared, untrained aide. . . I do not want him to return to this academic environment.” Student has not returned to a public school setting since this time. 5. In mid-June 2008, Student presented to the Diagnostic Center Southern California (Diagnostic Center) which is operated by the state Department of Education. The Diagnostic Center performed a transdisciplinary assessment. On September 8, 2008, the assessors prepared a Diagnostic Center Report. At the time of the assessment, Student was seven years and 11 months old. The report determined that, in the area of cognition, Student used skills that typically develop by four years of age. In the area of academics, the report determined that Student evinced skills at the kindergarten to first grade level, with particular troubles in understanding math concepts. In the area of communication, the report found that Student displayed skills falling between the four to five year levels, which was consistent with his diagnosis of autism. In the area of pragmatics, the report stated that Student showed an interest in social interaction, but lacked the skills to do so. 6. For the 2008-2009 school year, based upon a settlement agreement, the District funded an in-home educational program for Student. In this program, Mother provided instruction for her son with the assistance of a behavior intervention specialist from the Lovaas Institute. Student also received speech and language therapy, occupational therapy and psychological counseling. In addition to the services provided by the Lovaas Institute, Student and his family received weekly applied behavioral analysis (ABA) services provided by the Center for Behavioral Research and Education and funded by the Inland Regional Center. Student also received services from a private reading tutor, and, beginning in March 2009, he started attending a Lindamood-Bell center for reading instruction. 7. On June 9, 2009, Student’s IEP team convened for the purpose of conducting an annual review and preparing an educational plan for the 2009-2010 school year. The team reviewed Student’s progress in his home program and developed 18 goals in the areas of academics and functional performance. The academic goals addressed areas of need in decoding, reading comprehension, spelling, written expression and mathematics. The functional goals addressed areas of need in social behavior, direction following, participation in activities, sensory regulation, postural control, playground interaction and handwriting. In this IEP, the District offered Student placement in a mild-moderate special day class at his home school. The offer included one-on-one paraprofessional support in the classroom and the provision of related services in the form of speech and occupational therapy services one time a week for 30 minutes. Parents did not consent to this offer of placement and services. 8. On September 9, 2009, in OAH Case No. 2009080293, Parents, Redlands Unified School District and the East Valley SELPA entered into a Final Settlement Agreement through mediation (the September 2009 Mediation Agreement). In the accord, the District agreed to pay for Student’s placement at the Speech and Language Development Center (sometimes SLDC). The District agreed to pay SLDC to provide Student with speech services in the area of pragmatic expressive language in the amount of two 60-minute sessions each week. The District agreed to pay SLDC to provide Student with occupational therapy services in the areas of fine motor and sensory integration in the amount of two 60minute sessions each week. The District further agreed to reimburse Parents for the cost of transporting Student to and from Redlands and Buena Park. Under the September 2009 Mediation Agreement, Parents agreed to permit the District to perform a full psychoeducational assessment of Student during the period of April to June 2010. Also, the parties agreed to hold an IEP meeting no later than June 20, 2010, in order to develop Student’s placement and services for the 2010-2011 school year. 9. The Speech and Language Development Center is a unique school in Southern California that serves both disabled and nondisabled pupils. The California Department of Education has credentialed SLDC as a nonpublic school. Dawn O’Connor is the Chief Executive Office of SLDC. She has worked in the field of special education for 44 years, and she has devoted her entire career to the Speech and Language Development Center. Ms. O’Connor testified at the due process hearing, and she was a persuasive and unbiased witness. 10. Ms. O’Connor described the guiding educational principles practiced at SLDC. The school utilizes concepts and interventions designed to improve language abilities in every student activity, from the classroom, to service sessions, to the administrative office. At the same time, SLDC requires staff to collaborate in providing such language interventions across all settings at the school. Ms. O’Connor testified that SLDC serves special needs children with different disabilities, but that from 65 to 70 percent of the school population consists of pupils who have an autism spectrum disorder. While the majority of pupils at SLDC are disabled, she stated that, by serving both disabled and nondisabled pupils, SLDC is rare among nonpublic schools. She stated that, in 2008, the California Speech-Language-Hearing Association granted SLDC an award as the program of the year for the entire state. 11. Ms. O’Connor testified that SLDC has two school programs: Eric and Jolin. The Eric program serves only special needs pupils. The Jolin program serves both special needs pupils and typically developing peers. Upon his enrollment in September 2009, SLDC placed Student in the Jolin program. Ms. O’Connor stated that SLDC practices “reverse inclusion” in the Jolin program by bringing typically developing peers into a classroom with a majority of special needs pupils. She stated that the students in the Jolin program spend the entire day with their peers in the program, from the classroom through lunch, recess, playground time, assemblies and extracurricular activities such as social clubs. Ms. O’Connor stated that the Jolin program primarily serves pupils who are considered high functioning on the autism spectrum. 12. Ms. O’Connor knows Student. She has observed him numerous times in the classroom, during recess and at assemblies. In her opinion, Student’s difficulty in paying attention is a significant barrier in his ability to learn. Ms. O’Connor also opined that, while Student does not require a one-to-one “Velcro” aide, he does need the assistance of an aide who can fade in and out of his academic and non-academic activities. In her opinion, Student is in especial need of such aide support during unstructured activities such as lunch and playground time in order to keep him continually engaged with his classmates. 13. The Speech and Language Development Center placed Student in the combination second-third-fourth grade special day class of Jeffrey Clements. Mr. Clements has a mild-moderate teaching credential. He has worked as an instructor at SLDC for nine years during which time he has concentrated on teaching children with high functioning autism. Mr. Clements testified at the due process hearing. He was a persuasive and credible witness. 14. Mr. Clements described the classroom in which Student was placed. The class has a sound field, or FM system, with speakers in four corners of the room. The speakers serve to amplify the voice of Mr. Clements while he is engaged in full class instruction. Mr. Clements also wears a microphone which is connected to individual hearing devices used by several pupils, including Student. Mr. Clements testified that the FM system and individual hearing device helps Student pay attention and process information. Mr. Clements stated that, in June 2010, there were 16 pupils in his classroom, including two typically developing peers. He stated that there were four paraprofessionals in the class to provide aide support, resulting in a four-to-one student-to-adult ratio. He stated that his pupils have lunch in the classroom, and that a playground is located directly outside where his pupils have an opportunity to interact with all students in the Jolin program. 15. In his classroom, Mr. Clements engages in both large group and small group instruction. He uses a multi-modal form of instruction geared to the individual needs of his pupils. Consistent with the guiding principle at SLDC, Mr. Clements testified that he regularly collaborates with service providers and aides at the school. This collaboration includes meetings and discussions with the occupational therapist, the speech and language pathologists, and the audiologist who provide related services for Student at SLDC. Mr. Clements also stated that the professionals at SLDC are required to take regular trainings. 16. Mr. Clements has established a special rapport with Student whom he described as “amazing,” “fun” and “friendly.” Mr. Clements testified that, for Student, reading comprehension and the understanding of basic math concepts were special areas of need. He stated that Student’s ability to pay attention and focus upon academics was another area of need. In large group instruction, Mr. Clements stated that Student needs prompting or redirection every two minutes or so. In small group instruction, Student requires prompting every four to five minutes. Mr. Clements stated that he used simple methods to redirect Student such as tapping on a desk or complimenting a peer. Otherwise, Mr. Clements testified that Student was not a behavior problem and did not require a behavior plan. He stated that Student is a kinesthetic learner; that he required movement to learn. As an example, Mr. Clements described how he taught math concepts using flash cards while Student was jumping on a trampoline. As with all his pupils, Mr. Clements devised teaching methods and interventions for Student after arriving at an understanding of his learning profile. 17. Mr. Clements described Student as showing emerging social skills. While Student has made friends at SLDC, Mr. Clements stated that, if left alone, Student will keep to himself or isolate. In this vein, Mr. Clements testified that, for Student, unstructured time at school must be structured, and that Student requires aide support outside the classroom in order to engage with his peers. 18. Mr. Clements has also developed an excellent working relationship with Mother. He stated that he meets with Mother frequently in the morning before class starts in order to discuss Student’s progress and inspect the FM system. He also stated that he was very much aware of Student’s dietary restrictions and that Student must not have any food that does not come from Mother. 19. Jerry Lindquist has provided occupational therapy services for Student at SLDC. Dr. Lindquist has received a master’s of arts in occupational therapy and a doctorate of philosophy in psychology. He holds state licenses as a psychologist and occupational therapist. Dr. Lindquist has extensive experience in the field of occupational therapy, including the assessment and treatment of numerous children with disabilities. Presently, he is the Supervisor of the Occupational and Physical Therapy Department at SLCD where he has worked for 30 years, and he operates a private practice in psychology and occupational therapy. Dr. Lindquist testified at the due process hearing, and he was a persuasive and credible witness. 20. At SLDC, Dr. Lindquist has provided Student with two 50 minute sessions each week of occupational therapy services in a clinic setting where he works on helping Student process sensory input in a more effective manner. Dr. Lindquist also spends 30 minutes each week in the classroom of Mr. Clements where he works with staff and Student on strategies to help him better regulate sensory input. As an example, Dr. Lindquist stated that, when Student has a low level of arousal or is not paying attention, a strategy that permits him to move about the class or go outside for a short time may help. Dr. Lindquist also testified that, at SLDC, Student receives 90 minutes each week of social skills groups in which he provides collaboration support. These groups are the Cool Kids Club, in which the pupils in the class of Mr. Clements break into groups and engage in guided social interactions, and the After School Club, a program which Dr. Lindquist organized in conjunction with Sara Jones, a speech and language pathologist at SLDC. 21. As an occupational therapist, Dr. Lindquist is concerned with a child’s ability to process and regulate sensory information. He testified that, from working directly with Student in both the classroom and clinic, he has a strong working knowledge of Student’s sensory processing issues. He stated that, while Student has motor planning deficits, his most significant areas of weakness in the classroom are the ability to pay attention and to problem solve, plan and carry out activities. As regards attention, Dr. Lindquist stated that Student needs a large amount of verbal cues; otherwise, he will retreat inwardly to the scripts running in his head. In addition, Student has poor control of his posture which bears upon his ability to remain seated and focused at his desk. Overall, Dr. Lindquist described Student as under-aroused, but compliant upon redirection, as opposed to a child that is overactive and distractible. 22. Trisha Pfeiffer is a licensed speech pathologist who has provided speech services for Student at SLDC. Ms. Pfeiffer has bachelor and master of arts degrees in communication disorders. The American Speech-Language Hearing Association (ASHA) has granted her a certificate of clinical competence. She has worked as a speech pathologist at SLDC for 12 years. Ms. Pfeiffer testified at the due process hearing by telephone. 23. Since Student’s arrival at SLDC, Ms. Pfeiffer has provided “pull-out” speech services at her office in two 30-minute sessions each week. Ms. Pfeiffer supports the SLDC counseling department in providing Student with participation in the Cool Kids Club. This group meets in the classroom and works on social language needs such as developing the ability to attach language to emotions. Ms. Pfeiffer also supports Student through ongoing consultation with his classroom teacher and service providers, as this is a hallmark of the collaborative model practiced at SLDC. 24. Through her work with Student, Ms. Pfeiffer has gained insight into his language and educational needs. She described five main areas of challenge for Student in the area of speech. First, Student’s most significant challenge is attention. Ms. Pfeiffer testified that she employs a “bag of tricks” in order to get Student ready to engage in a task. Second, Student has poor receptive language skills and has difficulty following complex directions. Third, Student has needs in the area of compensatory strategies in order to resolve problems that arise when communicating with peers. Fourth, Student has a tendency to speak in a low voice which can hinder social discourse with classmates. Finally, Student has needs in the area of structured conversational skills. Ms. Pfeiffer commented that Student requires frequent redirection, both in her clinic sessions and the Cool Kids Club. She also opined that, the bigger the group of children, the more support Student requires. 25. Sara Jones is a licensed speech pathologist who also has provided speech services for Student at SLDC. Ms. Jones has bachelor and master of arts degrees in communicative disorders. She holds a clear rehabilitative services credential which permits her to work with pupils who have communication disorders. The ASHA has granted her a certificate of clinical competence. At SLDC, she has worked as a program specialist, and more recently as a speech pathologist with an emphasis on assisting pupils with pragmatics, or the social use of language. Ms. Jones testified at the due process hearing and presented as competent and professional. 26. Ms. Jones has provided speech services for Student in a social group called the After School Club. She testified that the After School Club meets for 80-minute sessions once each week. The group consists of eight to 12 pupils and there is usually a two-to-one student-to-adult ratio at the meetings. In the After School Club, Ms. Jones teaches different social speech skills and then allows the pupils time to practice the lesson. The skills involve pragmatics such as the ability to understand inferences, perspective taking and understanding non-verbal cues. Ms. Jones works in collaboration with Dr. Lindquist because most of the pupils in the After School Club, including Student, have sensory needs that require assistance from an occupational therapist to get ready for the lesson. 27. From working with Student in the After School Club, Ms. Jones has gained insight into his language needs. She testified that expressive language is a relative strength for Student. If he is allowed to start a conversation, Student does well. But, if he must respond to a peer, Student takes time to process the comment and often misses the meaning of what was said. Ms. Jones stated that she has learned that Student requires much “frontloading” which is a method of advising Student what to expect in a lesson. She also testified that Student requires a good deal of repetition, especially in learning social skills such as reciprocation and using a proper voice volume. 28. Mary Elizabeth Olander is a licensed audiologist who has provided audiological services for Student at SLDC. Dr. Olander has a doctorate in audiology, and the ASHA has granted her a certificate of clinical competence in the field. Dr. Olander is employed as an educational audiologist by the Centralia School District. She provides audiological services at SLDC which contracts for such services with Centralia. Dr. Olander has experience providing audiological services for children on the autism spectrum. She testified at the due process hearing by telephone. 29. Dr. Olander further explained the sound system in Student’s classroom at SLDC. The class is equipped with an infra-red amplification system. In addition, Student has a personal FM system consisting of a receiver and transmitter purchased by his Parents and which he wears in his left ear. Student’s personal hearing device is coordinated with the classroom amplification system to provide an enhanced signal-to-noise ratio. Student utilizes his personal hearing device during both large and small group instruction. He does not use the device during playtime, lunch and quiet seat work. Dr. Olander testified that Student does not require his personal hearing device when engaged in art activities or when listening to music. 30. Dr. Olander described the services that she has provided for Student at SLDC. Her primary service involves the maintenance of Student’s FM system which includes electro-acoustical checks of the personal receiver and transmitter. From audiological evaluations, Dr. Olander has concluded that Student has intermittent hearing loss in his left ear. She testified that such hearing loss is probably the result of ear infections. As a consequence, Dr. Olander performs periodic hearing tests of Student. Once, she discovered that the batteries in the device had expired, but that Student had not reported that the device was not working. She is helping Student become a better self-advocate in the use of the device. Dr. Olander also trains and monitors SLDC staff as concerns the FM system and Student’s use of his personal hearing device, which includes a “wearing schedule” during the school day. 31. The Speech and Language Development Center represents the ideal or optimal placement for Student. Not surprisingly, Parents are extremely pleased with Student’s enrollment and progress at SLDC. Mother testified at the due process hearing. She is quite obviously devoted to the well-being of her son, as well as a strong and effective advocate for his best interests. Mother stated that, for the first time in his life, Student is excited and motivated about school, and does not require the assistance of a one-to-one aide. Student has told her that he likes attending SLDC because he feels “smart” and no longer refers to himself as “stupid.” He has made friends and, again for the first time, he has experienced a sleep-over with an SLDC classmate. Mother testified that Student has made appreciable academic gains at SLDC, including improvement in the areas of spelling and multiplication. She stated that the commute between home and Buena Park is 60 miles, and takes from 60 to 70 minutes one way by car. She stated that she has developed good working relationships with the staff at SLDC, especially with Mr. Clements. She testified that she wants Student to continue at SLDC in order to work on basic academic and social skills, and that he is not yet ready to return to a public school. 32. In February 2010, Mother started attempting to schedule an IEP date for Student’s annual review. In an email to Cheryl Sjostrom, the District Director of Special Services, Mother explained that she wanted a firm date in May 2010 in order to coordinate the schedules of the family attorney and the many providers for Student. Mother testified that making such arrangements is an annual ritual for her. In early March 2010, Mother confirmed in an email to Ms. Sjostrom that the IEP would be held on May 24, 2010. 33. On May 7, 2010, the attorney representing Redlands Unified School District sent an email to the attorney representing Student and Parents. The letter advised that the occupational therapist who was assigned to perform the occupational therapy assessment of Student was on maternity leave and could not finish the evaluation by May 24, 2010. The letter reminded counsel of the assessment and IEP deadlines in the September 2009 Mediation Agreement, and suggested that a single IEP meeting in June was more advisable. On the same day, counsel for the family informed the attorney for the District that he would discuss the request with his clients. Apparently, the parties did not agree to move the scheduled date. On May 12, 2010, the District sent to Parents a document entitled “Individualized Education Program Conference Notice” which set Student’s annual IEP meeting for May 24, 2010, starting at 9:00 a.m., at SLDC. 34. Mother made extensive preparations for the May 24, 2010 meeting. In this regard, she prepared a packet of documents with a face page entitled “Progress Reports & Recommendations from Current Providers.” The packet contained reports, test results and letters concerning Student prepared by Gwennyth Palafox, clinical psychologist; Bob Chen, behaviorist; the Lindamood-Bell center in Pasadena, California; Diane Danis, M.D. ; Susan Spitzer, occupational therapist; Carol Atkins, audiologist; Keith Wolgemuth, audiologist; and Mary Olander, audiologist. In addition, Mother made arrangements for Dr. Palafox, Mr. Chen and her attorney to attend the IEP meeting. 35. The information packet prepared by Mother contained a document entitled “Progress Report & School Observation,” dated May 12, 2010, and prepared by Gwennyth Palafox. Dr. Palafox is a licensed psychologist who diagnosed Student with autism in June 2006. She has a private practice in Pasadena, California, where she specializes in treating children with developmental delays. By the terms of the September 2009 Mediation Agreement, Dr. Palafox provided cognitive behavior therapy for Student and his Parents in one hour monthly treatment sessions during the 2009-2010 school year. Dr. Palafox testified at the due process hearing. She was energetic and impressive in her understanding of Student’s needs. 37. Finally, Dr. Palafox concluded her report with a series of recommendations. She was quite impressed with Student’s progress at SLDC, describing his participation in different school activities as “remarkable.” She recommended that he remain at SLDC, and stated that the school was the least restrictive environment for Student because he was accessing the curriculum without a one-to-one aide. Dr. Palafox further recommended a continuation of parent training under her tutelage. In her recommendations, Dr. Palafox also proposed three parent training goals to help Student improve his social cognition, his social management skills and his executive functioning abilities. 38. The information packet prepared by Mother contained a Progress Report, dated March 15, 2010, and prepared by Bob Chen. Mr. Chen is the executive director of the Center for Behavior Research and Education, located in Rancho Cucamonga, California, which provides ABA services for children on the autism spectrum. Mr. Chen has extensive experience working both as a senior instructor who provided one-to-one behavioral intervention for children with autism, and as a supervisor of ABA programs. Mr. Chen’s company has provided behavior intervention services for Student and his family since September 2008. The Inland Regional Center has paid for such services which Mr. Chen has provided on Saturdays. Mr. Chen testified at the due process hearing. He has a good understanding of the behavioral issues that Student and his family have faced, and the great progress that Student has made in different areas. However, in certain aspects of his testimony, Mr. Chen displayed a bias against the District. 39. Mr. Chen’s Progress Report stated that his company provided Student and his family with 40 hours a month of ABA services, four hours a month of supervision, and two hours a month of parent education. Regarding Student, the Progress Report discussed his acquired skills in the broad areas of behaviors, socialization and play, language and communication, and self-help skills. Under behaviors, the Progress Report subdivided into a discussion of protests, coping skills, following instructions and frustration tolerance. In each subcategory, the Progress Report noted improvement. Under socialization and play, the Progress Report stated that Student has learned different skills, including an ability to identify coins, and has acquired age-appropriate abilities in outside activities such as playing soccer and skateboarding. Under language and communication, the Progress Report stated that Student “is learning to ask more age-appropriate and topic-appropriate questions,” and that he improved in the area of voice volume. Under self-help skills, the Progress Report stated that Student can brush his teeth, tie his shoes and fold his clothes, but that he continues to resist eating diverse foods. The Progress Report recommended a continuation of ABA services, but also noted that the focus of the program would shift to instructional control by Parents. 40. The packet of information prepared by Mother for the May 24, 2010 IEP meeting contained a document entitled “Testing Summary,” prepared by the Lindamood-Bell center in Pasadena, California. The Testing Summary indicated that, between March 17, 2009 and April 5, 2010, Student received 236 hours of instruction at this Lindamood-Bell facility. The Testing Summary listed a number of assessments and the scores that Student obtained on test dates of March 17, 2009, May 26, 2009, September 3, 2009, and April 5, 2009. The standardized assessments listed in the Testing Summary included the Peabody Picture Vocabulary Test, the Detroit Tests of Learning Aptitude, the Woodcock Reading Mastery Test, the Slosson Oral Reading Test, the Wide Range Achievement Test, and the Gray Oral Reading Test. On certain assessments, including the Woodcock Reading Mastery Test and the Slosson Oral Reading Test, Student showed appreciable improvement. On other evaluations, including the Peabody Picture Vocabulary Test and the Gray Oral Reading Test, he showed little to no progress, and scored at or below the first percentile. The Testing Summary recommended that Student attend the Lindamood-Bell center for daily instruction to develop his language and literacy skills in the amount of five days a week, at four hours a day, for 15 weeks, for a total of 300 hours of instruction. 41. The information packet provided by Mother contained a one page letter, dated April 20, 2010, from Diane M. Danis, M.D. Dr. Danis is a developmental and behavioral pediatrician who treats Student. Her practice is located in Pasadena, California. In the letter, Dr. Danis stated that she was pleased that Student was attending the Speech and Language Development Center. She recommended continued placement at SLDC, along with two hours a week of speech and language services, two hours a week of occupational therapy services, one to two hours a month of audiological services, and two hours a month of psychotherapy with Dr. Gwennyth Palafox. In addition, Dr. Danis recommended that the District provide such placement and services during the summer, together with four weeks of reading and math instruction at a Lindamood-Bell center. Dr. Danis supported her recommendations for speech, occupational and audiological services by writing prescriptions for such services. She also wrote a prescription that Student receive vision therapy services. 42. The packet of information provided by Mother contained a three page document entitled “Report of Occupational Therapy Progress,” dated May 10, 2010, and prepared by Susan Spitzer, Ph.D., OTR/L. Dr. Spitzer has a private practice in Pasadena, California. In May 2009, Dr. Spitzer prepared a report after an occupational evaluation in which she determined that Student had deficits in fine motor skills, motor planning, bilateral integration and coordination, kinesthetic body sense, sequencing movements, balance, postural control and sensory processing. In her May 2010 progress report, Dr. Spitzer indicated that she had provided occupational therapy services for Student on a monthly basis since September 2009. The progress report stated that Student continued to demonstrate deficits in the foregoing areas. In her progress report, Dr. Spitzer made recommendations which included sensory strategies to promote optimal arousal and attention for school work; school-based compensatory strategies such as mastery of cursive writing; and direct therapeutic activities to improve sensory-motor skills, including services directed towards postural control, sensory integration for modulation and sensory-based motor planning. 43. The packet of information provided by Mother at the May 24, 2010 IEP meeting contained an Optometric Vision Report, dated May 11, 2010, and prepared by Robyn Rakov, O.D. Dr. Rakov has a private practice located in Laguna Hills, California. In the Vision Report, Dr. Rakov informed that, between July 2009 and May 2010, Student has presented to her office for 36 sessions of vision therapy. The report stated that the vision therapy program addressed skills concerning Student’s visual efficiency, such as focusing, eye-teaming and eye-movement control, and his visual information processing, such as visual-motor performance, visual discrimination and visual memory. 44. The information packet prepared by Mother contained a two-page letter, dated May 3, 2010, and prepared by Carol Atkins. Ms. Atkins is a licensed audiologist with a private practice in Laguna Hills, California. Ms. Atkins designed the personal hearing devices used by Student in his classroom at the Speech and Language Development Center. The May 3 letter referenced questionnaires that Mother had provided to Jeffrey Clements, Student’s teacher at SLDC, and Trisha Pfeiffer, one of Student’s speech therapy providers at SLDC. The questionnaires concerned Student’s performance with the sound field system and personal hearing device in his classroom. The letter indicated that, on February 16, 2010, Ms. Pfeiffer noted that Student was more responsive in a small group with the classroom amplification system. The letter indicated that, on March 1, 2010, Mr. Clements reported that “constant prompting required during all group instruction either with or without the FM (classroom) system. Does not seem (to) assist in staying on task in small group instruction. . .” The letter further indicated that, on April 23, 2010, Mr. Clements reported that “Trainer helps him redirect/stay engaged. I would like to continue use in class.” Ms. Atkins concluded her letter with the statement that the overall sound system appeared to be making a positive contribution in Student’s educational setting. 45. Finally, the packet of information prepared by Mother contained two audiological reports. The first was a document entitled “Audiological Evaluation Report,” dated February 12, 2010, and prepared by Keith Wolgemuth, an audiologist and associate professor in communicative disorders at the University of Redlands. In his report, Dr. Wolgemuth stated that he tested Student in February 2009 and found that his hearing was within normal limits. He also evaluated Student in February 2010, and obtained the same results. Dr. Wolgemuth recommended a reevaluation in the event that Student experiences a decrease in hearing. He further recommended that, based upon Student’s diagnosis of autism, he continue to use an FM auditory trainer, and that an audiologist perform monthly checks to ensure that the device is working properly. The second report was a document entitled “Audiological Evaluation,” dated May 11, 2010, and prepared by Mary Olander, the audiologist who serves Student at SLDC. Dr. Olander evaluated Student on April 28, 2010, and May 12, 2010. In the first test, she found a mild conductive hearing loss in Student’s left ear. In the second test, after a physician treated Student with antibiotics, she found Student’s hearing within the normal to borderline normal range. Dr. Olander also recommended the continued monitoring of Student’s hearing status. 46. On May 20, 2010, Mother observed a mild-moderate special day class at Judson & Brown Elementary (Judson & Brown) which is within the District and is Student’s home school. This was the placement eventually proposed by the District after an IEP meeting held on June 15, 2010. Mother was accompanied by Bob Chen, Dr. Loni Kuhn who is an autism program specialist for the East Valley SELPA, and another District representative. Michelle Williams is the teacher for this classroom. The observation lasted an hour and included a reading lesson conducted by Ms. Williams from a research-based educational program called REACH. Mother testified that she noticed that there was one classroom aide assisting the teacher. She stated that Ms. Williams told her that, when her pupils leave class for recess and lunch, they go without aide support. Bob Chen testified that he viewed the pupils responding well to the teacher, and that he did not note behavior or safety issues. Both Mother and Mr. Chen offered criticism of the classroom in that they observed that the pupils remained on-task for 30 minutes, which was an unrealistic expectation for Student. 47. On May 24, 2010, Redlands Unified School District convened the scheduled IEP meeting for Student. The primary purpose of the meeting was for Mother to present and the team to consider the information packet of reports, letters and evaluations that she had prepared. There were 12 team members at this meeting, including Parents, Dawn Butler who served in the capacity as a general education teacher, Jeffrey Clements who served in the capacity as a special education teacher, and Cassandra Steinbrunn who served as the District representative. In addition, the team included Dr. Gywennth Palafox, Bob Chen, Dr. Olander, Dr. Jerry Lindquist, Trisha Pfeiffer, Sara Jones, Todd Rossi who is a District speech language pathologist, Tracey Ravanzo who is an East Valley SELPA occupational therapist, and Diane Aldama who is a District school psychologist, each of whom could speak to the instructional implications contained in the information packet. The team also included attorneys representing Parents and the District. 48. Cassandra Steinbrunn is a Coordinator of Special Services for the District. In this role, she serves at IEP meetings as the District representative who supervises the provision of specially designed instruction for children with exceptional needs, who is knowledgeable about the general education curriculum, and who is knowledgeable about the availability of resources in both the District and the East Valley SELPA. In fact, Ms. Steinbrunn has 20 years of experience in the field of special education, serving as an educational specialist, teacher and coordinator of services. Ms. Steinbrunn testified at the due process hearing, and she was a credible and persuasive witness. 49. Ms. Steinbrunn served as Student’s case carrier for the 2009-2010 school year. In this capacity, she visited the Speech and Language Development Center several times, and monitored Student’s progress through discussions with his teacher and service providers. Ms. Steinbrunn selected the District and East Valley SELPA personnel who would assess Student and who participated in the May 24, 2010 IEP meeting. She also facilitated the meeting. She testified that the meeting proceeded according to the order of information set forth in the packet prepared by Mother. The written notes from the meeting corroborate this testimony. 50. At the May 24, 2010 IEP meeting, Dr. Palafox and Bob Chen presented their respective reports. Dr. Olander also discussed her Audiological Evaluation. Mother presented the remaining reports, evaluations and letters, and she made clear to the team that she preferred SDLC as the continuing placement for Student because, for the first time, he was doing well in school and did not require a one-to-one aide. The written notes from the meeting reflect that the team members participated freely without restraint. For example, as Dr. Palafox presented her Progress Report & School Observation, Mr. Clements emphasized a point that she was making about Student’s off-task and avoidance behavior. Again, while Mr. Chen was presenting his report and explaining that Student uses charm and compliments to avoid work, Mr. Clements gave an example of such behavior in the classroom. The team discussed Student’s FM system at SLDC. In addition, Dr. Lindquist discussed Student’s sensory needs, and Ms. Jones and Ms. Pfeiffer discussed the speech services they provided at SLDC. 51. The parties disputed whether or not certain team members had a full opportunity to discuss their observations and recommendations at the May 24 meeting. Mother testified that the District attorney stopped the meeting and prevented Dr. Palafox from discussing the recommendations in her report and Bob Chen from discussing his observations of Student at SLDC. Dr. Palafox testified that she did not consider herself to be a meaningful participant at the meeting because she was not able to discuss her recommendations and the team did not consider her proposed parent training goals. Mr. Chen testified that the District was simply “going through the motions” at the meeting and that the team did not ask his opinion on behavior matters concerning Student. In contrast, Ms. Steinbrunn testified that all team members were allowed to participate, that there was an ongoing discussion, and that the meeting was not interrupted prematurely. Tracey Ravanzo, Todd Rossi and Diane Aldama corroborated Ms. Steinbrunn’s testimony in this regard. Each District witness stated that, at the May 24 meeting, the IEP team members were given an adequate opportunity to speak, and that the meeting was not ended prematurely. The notes from the IEP also indicated that there were no complaints or objections concerning the conduct of the meeting. 52. During the May 24, 2010 IEP meeting, the team members discussed the need to continue the meeting in order to allow the District to complete the planned assessments of Student and devise his educational plan for the coming school year. After consultation, the team agreed to continue the meeting to June 15, 2010. The team confirmed this date despite the fact that Dr. Palafox informed that she was not available on June 15th. 53. Under the terms of the September 2009 Mediation Agreement, Parents agreed to permit the District to perform a full psychoeducational assessment of Student during the time period from April to June 2010. Cassandra Steinbrunn testified that the District’s interpretation of “full psychoeducational assessment” under the agreement meant that the District was to perform a multidisciplinary evaluation of Student. In order to conduct a multidisciplinary evaluation, the District performed occupational therapy, speech and language and psychoeducational assessments of Student. 54. Tracey Ravanzo performed the District occupational therapy assessment of Student. Ms. Ravanzo is a registered occupational therapist who obtained her master of arts degree in the field from Loma Linda University in 2004. Ms. Ravanzo is employed as a school-based occupational therapist by the East Valley SELPA. She has extensive experience working as an occupational therapist in educational settings, and she has performed numerous evaluations of pupils with exceptional needs, including children on the autism spectrum. Ms. Ravanzo testified at the due process hearing, and she was a credible and persuasive witness. She is trained and knowledgeable in the field of occupational therapy, and competent to perform the assessment of Student. 55. Entering her evaluation, Ms. Ravanzo had a good understanding of Student’s challenges and needs in the educational setting. She provided occupational therapy for Student during the 2006-2007 and 2007-2008 school years when he was attending Mariposa Elementary within the District. In May 2008, as part of his triennial evaluation, Ms. Ravanzo conducted an occupational therapy assessment of Student. For the evaluation under scrutiny in this case, Ms. Ravanzo performed her reassessment of Student over the course of three days in June 2010. She performed the reevaluation on the premises at the Speech and Language Development Center where Student was attending school. 56. For her reevaluation, Ms. Ravanzo utilized a test battery that included both standardized and non-standardized measures. The non-standardized methods of assessment included: (1) a chart review; (2) a parent interview; (3) a teacher questionnaire and interview; and (4) skilled observations of Student in different settings at SLDC. For her chart review, Ms. Ravanzo reviewed existing evaluation data of Student, including a May 2009 Report of Occupational Therapy Evaluation prepared by Susan Spitzer, and the packet of information provided by Mother at the May 24, 2010 IEP meeting. In the parent interview, Mother informed Ms. Ravanzo that she was concerned about Student’s motor planning, his ability to write in cursive without visual models, his need to improve attention, his sensory and emotional regulation in the classroom, and postural control. Ms. Ravanzo interviewed Mr. Clements, Student’s teacher at SLDC, who reported that Student’s greatest challenge was to stay focused during large group instruction, and that he needs occupational therapy to help with sensory processing, motor planning and self-regulation. Ms. Ravanzo observed Student in an occupational therapy session with Dr. Lindquist, in the classroom during large group instruction and lunch, in a speech therapy session, and at recess. 57. In her reassessment, Ms. Ravanzo utilized the following standardized test instruments: (1) the Sensory Processing Measure (SPM); (2) the Bruininks-Oseretsky Test of Motor Proficiency, Second Edition (BOT-2); (3) the Movement Assessment Battery for Children, Second Edition (Movement ABC); (4) the Test of Handwriting Skills, Revised (THS-R); and (5) the Clinical Observation of Motor and Postural Skills (COMPS). The SPM is a rating scale that enables the assessment of sensory processing, social participation and praxis, which is the ability to plan and organize movement. Both Ms. Clements and Mother completed the SPM forms and their responses indicated that Student has mild-moderate sensory processing delays in both the school and home environments. The BOT-2 assesses the motor functioning of an individual. On the BOT-2, Student scored below average in the areas of fine motor precision and manual dexterity, and average in the area of fine motor integration. The Movement ABC evaluates fine and gross motor performance. On the Movement ABC subtests, Student scored in the poor range for manual dexterity, and in the average range for both balance and ball skills. The THS-R is an untimed test of manuscript and cursive handwriting, and assesses the neurosensory integration ability seen in handwriting. On the THS-R, Student evinced no concerns with his manuscript abilities. However, he scored below average in cursive formation. The COMPS is a screening tool based upon clinical observations for the presence or absence of motor problems with a postural component. Student’s scores on the COMPS indicated normal functioning; however, Ms. Ravanzo noted that he had difficulty maintaining good posture while seated at his desk. 58. Regarding her reassessment, Ms. Ravanzo testified that she selected and administered test procedures that were not racially, culturally or sexually discriminatory; that she administered the test procedures in Student’s native tongue which is English; that she utilized a variety of assessment measures; that she followed the test protocols; and that she used the tests for purposes for which the assessments were valid and reliable. Upon completion of the reevaluation, Ms. Ravanzo prepared a report entitled “Occupational Therapy Reassessment,” which described her test battery and the results of the various assessment procedures that she employed. The report concluded that Student required occupational therapy services as part of his special education program. For such services, the report recommended that Student receive direct services one time a week for 45 minutes at the East Valley SELPA Motor Therapy room in order to improve his core strength and motor planning. The report also recommended that Student receive collaborative occupational therapy services one time a week for 30 minutes in order to provide in-class support for sensory strategies to improve his sensory regulation and attention, to teach him cursive writing, and to teach novel tasks in the educational setting. 59. In conducting her reassessment, Ms. Ravanzo followed the “ecological model,” which evaluates a child in the educational setting. Her report cited a publication by the California Department of Education entitled “Guidelines for Occupational Therapy and Physical Therapy in Public Schools.” She testified that the Guidelines represent “best practice” for her profession as concerns an assessment that follows the ecological model. In her reassessment of Student, Ms. Ravanzo followed many features of the Guidelines, but she did not follow certain suggestions such as reporting upon Student’s physical environment, including his desk, the acoustics in his classroom and the playground. Ms. Ravanzo testified that the Guidelines are suggestions but not strict mandates that she must follow in performing an evaluation of a special needs child. 60. Todd Rossi performed the District’s speech and language assessment of Student. Mr. Rossi has bachelor and master of science degrees in communication disorders. He has taught undergraduate and graduate courses on this subject. He is licensed as a speech and language pathologist, and the ASHA has granted him a certificate of clinical competence in the field. Mr. Rossi holds credentials in clear clinical rehabilitative services and preliminary administrative services. He has worked as a speech and language specialist in special education for 14 years, most recently with the Redlands Unified School District. He has performed numerous speech and language assessments of pupils with exceptional needs, including children on the autism spectrum. Mr. Rossi testified at the due process hearing, and he was a credible and persuasive witness. Mr. Rossi had sufficient training, knowledge and competence to perform the speech and language evaluation of Student. 61. Mr. Rossi performed his assessment on May 19, 2010 and June 2, 2010, at the Speech and Language Development Center. He performed the assessment for the purpose of determining Student’s skill levels in the areas of articulation, voice, fluency, receptive language, and expressive language including pragmatics. For his assessment, Mr. Rossi employed a test battery that included both standardized and non-standardized measures. Though not mentioned fully in his report, Mr. Rossi reviewed existing evaluation data of Student, including the 2008 Diagnostic Center Report, the District’s May 2008 speech and language assessment which was performed as part of Student’s triennial evaluation, and the information packet provided by Mother at the May 24, 2010 IEP. The other nonstandardized methods of assessment included (1) a conversational articulation observation, and (2) a classroom observation. From the conversational sample, Mr. Rossi determined that Student possessed age-appropriate articulation and vocal skills, though he noted that Student tended to speak softly at times. Mr. Rossi also determined that Student presented with adequate fluency. For the classroom observation, Mr. Rossi viewed Student in the classroom of Mr. Clements during a math lesson. This observation lasted about 45 minutes, and Mr. Rossi saw that Student required frequent verbal prompts from his teacher to remain on task, but that Student complied with such prompts. Mr. Rossi testified that, during his classroom observation, he did not see an aide providing support for Student. 62. In his assessment, Mr. Rossi utilized the following standardized test instruments: (1) the Receptive One Word Picture Vocabulary Test (ROWPVT-R); (2) the Expressive One Word Picture Vocabulary Test (EOWPVT-R); (3) the Comprehensive Assessment of Spoken Language (CASL); (4) the Structured Photographic Expressive Language Test-3 (SPELT-3); (5) the Test of Problem Solving-3 (TOPS-3); and (6) the Test of Pragmatic Language (TOPL). The ROWPVT-R assesses a child’s single word expressive vocabulary. On this test, Student received a standard score of 56, placing him in the first percentile, and indicating that his receptive single word vocabulary skills are within the deficient range. The EOWPVT-R assesses a child’s single word expressive vocabulary. On this test, Student received a standard score of 76, placing him in the fifth percentile, and indicating that he possessed expressive single word vocabulary skills in the borderline range, a relative strength for him. The CASL evaluates the process of comprehension, expression and retrieval across the four language categories of lexical/semantic, syntactic, supra linguistics and pragmatics. Student’s scores on the CASL indicated that he has significant difficulties in both receptive and expressive language. On this test, Student demonstrated the most skill in the area of expressive language with a subtest score on antonyms in the low average range of development. 63. The SPELT-3 measures a child’s generation of specific morphological and syntactical structures through concrete thinking. On this test, Student received a standard score of 53, placing him below the first percentile, and indicating a deficient range of development. In particular, Student demonstrated difficulty with past tense verbs (was and were), possessive pronouns and “wh” questions. The TOPS-3 assesses a child’s ability to use language to think in a logical manner. On this test, Student scored in the first percentile on the subtests relating to making inferences, sequencing, negative questions, problem solving, predicting and determining causes. Such scores indicated that Student demonstrated significant difficulty in the ability to solve tasks of daily living. The TOPL measures pragmatics which is the social use of language. On this test, Student’s scores displayed that he has extreme difficulty using language in an appropriate manner in activities of daily life. In addition to the foregoing tests, Mr. Rossi conducted a bilateral hearing screening, which Student passed. 64. Regarding his assessment, Mr. Rossi testified that he selected and administered test instruments that were not racially, culturally or sexually discriminatory; that he administered the test procedures in English; that he utilized a variety of assessment measures; that he followed the test protocols; and that he used tests for purposes for which the assessments were valid and reliable. Upon completion of the assessment, Mr. Rossi prepared a report entitled “Language, Speech, and Hearing Assessment,” which described his test battery and the results of the different evaluations that he performed. In his report, Mr. Rossi made recommendations to develop Student’s receptive and expressive language skills, including suggestions to keep directions simple, to allow for increased processing time, and to ask who, what, why, where and when questions. The report concluded that Student required special education based upon his language deficits, and further recommended that he receive two hours a week of speech and language therapy in the following delivery models: (1) two 30-minute sessions of individual pull-out therapy; (2) one 30-minute session of group pull-out therapy; and (3) one 30 minute session of in-class and consultative therapy. 65. Diane Aldama performed the District’s psychoeducational assessment of Student. Ms. Aldama has served in education since 1980. From 1995-2004, she worked as an elementary school teacher in both general and special education. From 2004 to the present, Ms. Aldama has worked as a school psychologist for the Redlands Unified School District. She holds California teaching credentials in the areas of multiple subjects, crosscultural language and academic development, pupil personnel services, and school psychology. She holds a state license as an educational psychologist. In her career as a school psychologist, Ms. Aldama has performed over 500 psychoeducational evaluations, including numerous assessments on children with autism. Ms. Aldama testified at the due process hearing. She was a credible and persuasive witness. She had sufficient training, competence and experience to perform the psychoeducational assessment of Student. 66. Ms. Aldama conducted the psychoeducational assessment of Student in collaboration with Loni Kuhn. Dr. Kuhn has a master of science in school psychology, and a doctorate of philosophy in educational psychology. She has board certification in behavior analysis, and has worked as a behavior specialist and school psychologist at a local educational agency. Since 2006, Dr. Kuhn has served as an autism program specialist for the East Valley SELPA. In this position, Dr. Kuhn has assisted school districts in the development of research-based programs for children with autism, and in training school personnel. Dr. Kuhn testified at the due process hearing, and she was a credible and persuasive witness. 67. Ms. Aldama and Dr. Kuhn collaborated on the assessment battery for the psychoeducational evaluation of Student which took place over the course of five days. The assessment battery included both formal and informal measures. In the informal methods of assessment, both Ms. Aldama and Dr. Kuhn reviewed the packet of reports, test results and letters provided by Mother at the May 24, 2010 IEP meeting. They reviewed Student’s school records and prior assessments, including the 2008 evaluation conducted by the Diagnostic Center. The informal methods also included observations conducted by both Ms. Aldama and Dr. Kuhn, as well as interviews that Ms. Aldama conducted with Mother and Mr. Clements. 68. As formal measures of assessment, Ms. Aldama performed the following 14 standardized tests: (1) the Kaufman Assessment Battery for Children, Second Edition (KABC II); (2) the Kaufman Brief Intelligence Test, Second Edition (K-BIT-2); (3) the Wide Range Achievement Test, Fourth Edition (WRAT-4); (4) the Woodcock-Johnson Achievement Test (WJ-III); (5) the Behavior Rating System of Executive Function (BRIEF); (6) the Comprehensive Test of Phonological Processing (CTOPP); (7) the Beery Test of Visual-Motor Integration, Fifth Edition (VMI-5); (8) the Vanderbilt ADHD Diagnostic Parent Rating Scale and Teacher Rating Scale; (9) the Behavior Assessment for Children, Second Edition (BASC-2); (10) the Adaptive Behavior Assessment System, Second Edition (ABAS-II); (11) the Social Communication Questionnaire – Parent Interview; (12) the Autism Diagnostic Observation Schedule (ADOS); (13) the Gilliam Autism Rating Scale, Second Edition (GARS-2); and (14) the Social Responsiveness Scale. Ms. Aldama testified that, following best practice for her profession, she utilized at least two standardized tests in the principal areas of her assessment. She also stated that she did not test Student with his FM auditory trainer because standardized assessment instruments are not normed on children who use such aids. 69. Dr. Kuhn observed Student at the Speech and Language Development Center. The observation occurred on June 9, 2010, and lasted from 12:30 p.m. to 2:15 p.m. During this time, Dr. Kuhn observed Student at lunch in the classroom, at recess on the playground, during a pull-out individual speech therapy session, and during the Cool Kids Club social group. In all activities, Dr. Kuhn observed that Student required prompts in order to stay ontask, but that he easily complied with redirections from his teacher and classroom aide. Dr. Kuhn noted that, on the playground, Student played with peers but that an adult needed to direct his interactions and play. She also noted that Student transitioned independently through the different activities that she observed. 70. In their interview, Mr. Clements informed Ms. Aldama that Student was working from a second grade curriculum. He stated that Student was reading and decoding at a second to third grade level, and that this was an area of relative academic strength for him. He stated that, despite such skills, Student has difficulty in comprehending what he reads. He stated that, in writing, Student was able to generate and write simple sentences with prompts, and that this was another area of relevant academic strength. He stated that, in the area of mathematics, Student was halfway through the second grade curriculum. Mr. Clements informed Ms. Aldama that Student was “a very compliant child who is eager to please.” He stated that, socially, Student was seeking peer relationships, interacting with classmates, and emulating positive peer behavior. He stated that, in terms of transitions, Student required some redirection, and that he was generally compliant after such redirection. 71. Ms. Aldama also observed Student at the SLDC. The observations occurred on two days: May 27, 2010 and June 2, 2010. On May 27, 2010, Ms. Aldama viewed Student in the classroom during a math lesson and lunch, and at recess on the playground. She observed that, for the math lesson, Student required aide support and frequent redirection to task. She noted that, on his worksheet, Student received more than 50 percent incomplete or incorrect scores. She observed that, on the playground, Student engaged in parallel play with a classmate and required prompts to engage in communicative exchanges. On June 2, 2010, Ms. Aldama observed Student in the morning on the playground during an exercise program and in the classroom for a lesson on verbal and writing skills. She noted that, on the playground, Student followed the instructor and paired with a peer. In the classroom, she viewed that Student required aide support and teacher prompts to pay attention and participate in the lesson. 72. As concerns her formal measures of assessment, Ms. Aldama evaluated Student’s cognitive abilities with the KABC-II and the K-BIT-2. On the KABC-II, Student received scores in the below average range in the areas of sequential and simultaneous processing, learning and planning. He also received scores in the lower extreme range for fluid crystallized intelligence and mental processing. On the K-BIT-2, Student received standard scores of 56 on both the verbal and nonverbal knowledge subtests, placing him in the lower extreme range with an age equivalency of 4-8 years. On the K-BIT-2, Student also received an intelligence quotient standard score of 51 which placed him below the first percentile in comparison to same-aged peers. 73. Ms. Aldama evaluated Student’s academic achievement with the WRAT-4 and WJ-III. On the WRAT-4, Student received standard scores in the average range on the subtests for word reading and spelling, indicating relative academic strength, but he received a score in the deficit range for math computation. On the WJ-III, Student received scores which placed his oral communication skills in the low average range for his age. He received scores which also placed his academic skills in the low average range. He received scores which placed his academic knowledge, fluency with academic tasks, and ability to apply academic skills in the very low range. In comparison to same-aged peers, Student’s standard scores on the WJ-III were low in broad reading, brief reading and brief writing, and very low in broad mathematics, math calculation skills, math reasoning, brief mathematics, broad written language and written expression. On the WJ-III, Student showed relative strength on subtest scores in the areas of letter and word identification, spelling, picture vocabulary and story recall. 74. Ms. Aldama used the BRIEF to evaluate Student in the area of executive functioning which refers to the processes responsible for guiding, directing and managing an individual in cognitive, emotional and behavioral functions. On the BRIEF, Parents rated Student as exhibiting difficulty with every day behavior in the areas of adjusting to changes in routine or task demands, initiating the process of problem solving, and sustaining working memory. Mr. Clements rated Student as exhibiting difficulty within the school setting in modulating his emotions, initiating the process of problem solving, and sustaining working memory. Ms. Aldama utilized the CTOPP to assess Student’s skills in the areas of phonological processing and memory. On this test, Student scored in the lower end of average for phonological awareness and in the average range for phonological memory. Ms. Aldama utilized the VMI-5 to evaluate Student’s skills in the area of visual-motor integration. On this test, Student received a standard score of 84, placing him in the below average range. Student’s scores on the CTOPP and VMI-5 indicated that, in comparison to cognitive and academic performance, his auditory processing and visual-motor integration were areas of relative strength. 75a. Ms. Aldama evaluated Student’s social, emotional and behavioral characteristics with three formal test instruments: the Vanderbilt ADHD Rating Scales, the BASC-2, and the ABAS-II. Each instrument involved rating scales that were completed by Mother and Mr. Clements. On the Vanderbilt ADHD Parent Rating Scale, Mother scored her son in the clinically significant range for inattention and oppositional defiance/conduct disorder. On the Vanderbilt ADHD Teacher Rating Scale, Mr. Clements scored Student in the clinically significant range for inattention. On the BASC-2, Mother rated Student in the at-risk range for hyperactivity, anxiety, somatization and attention problems, and for the adaptive behaviors of social skills, leadership and activities for daily living. Mother rated her son in the clinically significant range for atypicality and withdrawal, and for the adaptive behaviors of adaptability and functional communication. On the BASC-2, Mr. Clements rated Student in the at-risk range for somatization, withdrawal and attention problems, and for the adaptive behaviors of school problems and functional communication. Mr. Clements rated Student in the clinically significant range for atypicality. On the ABAS-II, Mother rated Student in the extremely low range for his skills in the areas of conceptual, social and practical adaptive behaviors, except for self-care and health and safety. In contrast, Mr. Clements on the ABAS-II produced scattered scores. He rated Student in the average range for social, school living, health and safety, and self-care; in the below average range for functional pre-academics and leisure; and in the extremely low range for communication, self-direction and community use. 75b. Finally, Ms. Aldama utilized four standardized test instruments to evaluate Student in relation to autism spectrum disorders: the Social Communication Questionnaire (SCQ), the ADOS, the GARS-2, and the Social Responsiveness Scale (SRS). On the SRQ, which documents developmental history, Mother reported numerous behaviors related to autism spectrum disorder, and Student obtained a total score that firmly indicated the presence of autism. Ms. Aldama performed the ADOS in conjunction with Todd Rossi. She testified that the ADOS is the “gold standard” for measuring autism, and Student’s scores on this evaluation confirmed his diagnosis. In the area of communication tested by the ADOS, Ms. Aldama noted that Student’s use of words and phrases tended to be more repetitive than that of most individuals, and that he used occasional stereotyped utterances or odd use of language. In the area of reciprocal social interaction tested by the ADOS, she noted that Student displayed a poorly modulated eye contact and a limited amount of facial expressions, and that, in his communicative exchanges he was concerned with his own preoccupations and engaged in little to no social chat or give-and-take. On the GARS-2, Parent scores indicated a “very likely” probability of autism, while Mr. Clements scored Student in the “possibly” range. The SRS measures the manner in which autism spectrum symptoms impair a child in the social arena. On the SRS, Mother rated Student’s social impairments in the severe range, while Mr. Clements rated him in the normal range. 76. Regarding her assessment, Ms. Aldama testified that she selected and administered test instruments that were not racially, culturally or sexually discriminatory; that she administered the tests in English; that she utilized a variety of assessment measures; that she followed the test protocols; and that she used tests for purposes for which the assessments were valid and reliable. Upon completion of her psychoeducational assessment, Ms. Aldama prepared a document entitled “Multidisciplinary Team Report.” The report described the assessment procedures that she utilized, the observations that she and Dr. Kuhn made, the interview with Mr. Clements, and the results from the standardized test instruments. The report referenced the documents in Mother’s information packet, and listed the results of the testing performed by Lindamood-Bell. The report concluded that Student remained eligible for special education as a child with autistic-like behaviors. In this regard, Ms. Aldama summarized her evaluation: “(T)he preponderance of assessment data shows a student with developmental delays and associated cognitive and adaptive behavior limitations that manifest in a consistent inability to fluidly generalize learning from one context to another, meaningfully utilize and manage abstract language, and apply rote academic skills to a variety of academic problem solving situations.” Ms. Aldama’s report also contained numerous recommendations for Student’s IEP team and his educators. 78. Student’s principal challenge to the District assessments concerned an incident involving Starburst candy which is a small, cubed shaped, fruit flavored taffy candy. In this regard, Diane Aldama testified that, on June 1, 2010, while she was conducting either the KABC-II or the WRAT-4, she gave Student two Starburst candies. Ms. Aldama stated that, as a school psychologist, she employs a “bag of tricks” to help pupils obtain their best performance on assessments, and that she gave Student the candies to help maintain his arousal and attention. She testified that she was aware from Student’s school records, including the June 2009 IEP, that he had a gluten and casein-free diet. She stated that the candies she gave Student did not contain gluten or casein. In fact, the school records in this case do not indicate that Student had allergies to chemicals or dyes in foods like candy. 79. On June 1, 2010, Mother quickly learned that Ms. Aldama had given Student the Starburst candies, and she became quite upset. Mother testified that she walked past the testing room and noticed the candy wrappers. She confronted Ms. Aldama, and asked her to stop the assessment. She testified that, when Student departs from his diet, such as having food with chemicals or dyes, his autistic symptoms become amplified and he has physiological reactions like headaches and diarrhea. She stated that such symptoms last several days. Mother testified that, on June 1, 2010, Student was unusually lethargic leaving school, and that he had a tantrum when they drove to a local store. She stated that, on June 2, 2010, in the morning before school, Student again had a long tantrum which was not usual for him. On this day, in the mid-afternoon, Mr. Clements sent Mother an email which stated, in part, that Student appeared “off” after his testing, and that he had difficulty focusing in class. 80. On June 1, 2010, after Student ingested the Starburst candies, Tracey Ravanzo performed part of her occupational therapy assessment. In this regard, she performed the BOT-2 and observed Student both in the classroom and with Dr. Lindquist. Ms. Ravanzo’s formal assessment lasted 45 minutes and followed the testing performed by Ms. Aldama. Ms. Ravanzo testified that, as concerns Student’s behaviors, she noticed nothing out of the ordinary, though her report stated that he “was highly distractible and required frequent verbal prompts.” On June 2, 2010, Ms. Aldama resumed her psychoeducational assessment by observing Student in the classroom. This observation immediately followed Student’s tantrum with his Mother. However, Ms. Aldama testified that she observed Student as behaving in the same manner as he behaved during other days of testing. A little later in the day, Mr. Rossi also observed Student in the classroom, and, aside from the need for prompts, he did not notice any untoward behavior that might affect the assessment process. 81. On June 15, 2010, the Redlands Unified School District convened an IEP meeting for Student. The meeting was a continuation of the meeting that started on May 24, 2010. The purpose of the June 15 meeting was to discuss the District assessments and establish Student’s educational plan for the 2010 extended school year and the 2010-2011 school year. There were 17 team members at this meeting, including Parents, Dawn Butler who served in the capacity as a general education teacher, Jeffrey Clements who served in the capacity as a special education teacher, and Cassandra Steinbrunn who served as the District representative. In addition, the team included Diana Aldama, Loni Kuhn, Todd Rossi and Tracey Ravanzo, each of whom could speak to the instructional implications in the District assessments. From the Speech and Language Development Center, the team also included Dr. Jerry Lindquist, Dr. Mary Olander, Sara Jones, Trisha Pfeiffer and Marlene Clements, each of whom could also speak to the instructional implications in both the District’s assessments and the data in the information packet previously provided by Mother. The team also included Bob Chen and attorneys who represented the family and the District. Dr. Gwennyth Palafox did not attend, and the District did not bring a staff audiologist to the meeting. 82. At the June 15, 2010 IEP meeting, the team first discussed Student’s progress on goals and his present levels of performance. The September 2009 Mediation Agreement did not reference Student’s June 2009 IEP, and did not specify whether SLDC would work on the goals therein. Nevertheless, it appears that, when Student enrolled at SLDC, he carried the goals in the June 2009 IEP with him. At the June 15, 2010 meeting, SLDC staff who had worked with Student reported that he had met nine of 18 goals, partially met three goals, and did not meet six goals. In particular, Mr. Clements provided Cassandra Steinbrunn with a copy of the June 2009 IEP goals which contained notes made by himself and other staff members concerning Student’s progress. For example, goal number one from the June 2009 IEP required Student to demonstrate a level of reading comprehension. Mr. Clements notated that this goal had been achieved. Goal number nine required Student to write independently in his journal. Mr. Clements, likewise, notated that this goal had been met. Although the goals from the June 2009 IEP were not aligned to particular baselines, SLDC staff had no difficulty determining whether Student had achieved, partially achieved or not achieved a particular goal. 83. The IEP document produced from the June 15, 2010 meeting contained a “Summary of Present Levels of Student Performance Areas.” The summary contained information pertaining to the following areas of Student’s academic achievement and functional performance: (1) reading; (2) math; (3) written expression; (4) language; (5) social behavior; (6) physical skills; (7) self-help and functional skills; (8) prevocational; and (9) vision and hearing. The IEP based the present levels of performance primarily upon the results from the District assessments and reports from Student’s classroom teacher. For example, under “reading,” the present levels referenced Student’s reading skills as reflected in his scores on the WRAT-4 and the opinion of Mr. Clements. Under “math,” the present levels referenced Student’s significant deficits as reflected in his scores on both the WRAT-4 and WJ-III. Under “language,” the present levels referenced Student’s skill levels as reflected in the assessment performed by Todd Rossi. Under “social behavior,” the present levels referenced Student’s communication and social interaction skills as reflected in the BASC-2 and ABAS-II from Ms. Aldama’s psychoeducational evaluation, as well as from input provided by Mr. Clements. Under “functional skills,” the present levels referenced Student’s adaptive behavior abilities as reflected in the BASC-2 and ABAS-II. 84. At the June 15, 2010 meeting, the team next received reports from the District assessors. Ms. Aldama presented her psychoeducational assessment and discussed the results of her testing. Dr. Kuhn shared her observations of Student at SLDC. At this point, the team permitted Dr. Olander to speak and leave the meeting. Dr. Olander discussed Student’s FM system at SLDC, and a self-advocacy goal that she proposed concerning Student’s personal hearing device. Todd Rossi then presented his speech and language assessment, and the IEP notes indicate that SLDC staff agreed with the results he obtained. Tracey Ravanzo presented her occupational therapy evaluation, and, again, SLDC staff agreed with her findings. The team attached both the District assessments and the packet of information to the June 15, 2010 IEP document. 85. At the June 15, 2010 meeting, the team then discussed the IEP goals for the 2010-2011 school year. During the May 24, 2010 IEP meeting, SLDC staff had presented the team with 23 proposed goals for the coming school year. Each professional at SLDC who had worked with Student participated in preparing the proposed goals, including Mr. Clements, Dr. Lindquist, Sara Jones, Trisha Pfeiffer and Dr. Olander. The proposed goals touched upon Student’s many unique needs as concerns academic achievement and functional performance. At the June 15 meeting, the team discussed the SLDC proposed goals. Ultimately, the District formulated 18 goals, adopting some of the SLDC suggestions without change, and adopting others with minor revisions. The IEP notes indicated that all team members agreed with the final goal formation. Cassandra Steinbrunn testified that, prior to the June 15 meeting, she aligned the proposed goals with California curriculum standards in order to ensure their viability. 86. The IEP document produced from the June 15, 2010 meeting contained the 18 goals formulated by the team and the methods of measuring Student’s progress in meeting the goals. Goal numbers one, two and three addressed Student’s needs in the area of occupational therapy. Goal number one required Student to write a five-word sentence, without a model, in cursive with appropriate letter formation. This goal referenced a research-based teaching methodology called Handwriting Without Tears. Goal number two required Student to independently construct a five-piece obstacle course, and concerned his motor planning and executive functioning skills. Goal number three required Student to maintain an upright posture at his desk for 15 minutes. The IEP provided for measurement of these goals through observation and work samples. In the SLDC proposed goals, Dr. Lindquist had written similar suggestions, and the District adopted his proposed goals without change. With goal numbers one, two and three, the IEP also addressed concerns relating to writing, motor planning and postural control set forth in Susan Spitzer’s May 2010 Report of Occupational Therapy Progress, and which Mother provided to the team on May 24, 2010. Ms. Steinbrunn testified that goal number one aligned with grade three curriculum standards for penmanship, and that goal numbers two and three aligned with grade one standards for listening comprehension. 87. In the June 15, 2010 IEP, goal number four addressed Student’s need to attend without prompts in order to learn in class. The IEP provided for measurement of the goal through observation. In the SLDC proposed goals, Mr. Clements had written a similar suggestion, and the District adopted his proposed “on-task” goal with minor revisions. According to Ms. Steinbrunn, goal number four aligned with grade one curriculum standards for listening comprehension and organization. 88. In the June 15, 2010 IEP, goal numbers five and six addressed Student’s receptive, expressive and pragmatic language needs. Goal number five required Student to follow novel two-step complex directions. Goal number six required Student to seek clarification when needed. The IEP provided for measurement of goal numbers five and six by “tally” which means keeping written track of a pupil’s progress. In the SLDC proposed goals, Trisha Pfeiffer had written two similar suggestions, and, in goal numbers five and six, the District adopted her proposed goals verbatim. Todd Rossi testified that goal number six addressed the pragmatic language needs he found in performing the TOPL, which showed that Student had extreme difficulty in using language appropriately in activities of daily living. Dr. Kuhn further testified that goal number six addressed Student’s deficits in the area of executive functioning. According to Ms. Steinbrunn, goal numbers five and six aligned with grade one curriculum standards for comprehension. 89. In the June 15, 2010 IEP, goal numbers seven, eight and nine further addressed Student’s receptive, expressive and pragmatic language needs. Goal number seven required Student to demonstrate improvement in conversational skills. Goal number eight required Student to identify behaviors as expected or unexpected. Goal number nine required Student to adjust his speaking volume. The IEP provided for measurement of these goals by the “tally” method. In the SLDC proposed goals, both Trisha Pfeiffer and Sara Jones had written similar suggestions, and the District adopted their proposed goals almost verbatim in goal numbers seven, eight and nine. 90. In the June 15, 2010 IEP, goal number 10 addressed Student’s use of his personal hearing device. The goal required Student to report independently to his teacher if his personal FM system was functioning. The IEP team created this “self-advocacy” goal upon the recommendation of Dr. Olander. The IEP provided for measurement of the goal by the “tally” method. Goal numbers 11 and 12 in the IEP addressed Student’s needs in the areas of academic and functional math skills. Goal number 11 required Student to use addition or subtraction in solving a word problem. Goal number 12 required Student to recognize the value of coins. The IEP provided for measurement of these goals through tests. In the SLDC proposed goals, Mr. Clements had made a similar suggestion about solving word problems, and goal number 11 slightly revised his proposed goal. In his March 2010 Progress Report, Bob Chen noted that Student had acquired skills relating to the identification of pennies, nickels, dimes and quarters, and goal number 12 continued with this functional skill. Goal number 12 further reflected the suggestion in Diane Aldama’s psychoeducational assessment that Student receive support in learning concrete, life skills. According to Ms. Steinbrunn, goal numbers 11 and 12 aligned with grade one curriculum standards for math reasoning and number sense. 91. In the June 15, 2010 IEP, goal numbers 13, 14 and 15 addressed Student’s unique needs in the areas of reading fluency and comprehension. Goal number 13 required Student to read with accuracy a third grade passage. Goal number 14 required Student to ask clarifying questions upon reading a second grade passage. Goal number 15 required Student to read out-loud a third grade passage at the rate of 52 words per minute. The IEP provided for measurement of these goals through tests and teacher charting. In the SLDC proposed goals, Mr. Clements had made similar suggestions, and goal numbers 13, 14 and 15 represent slight revisions of his proposed goals. Ms. Steinbrunn testified that goal numbers 13 and 15 aligned to grade three curriculum standards for decoding and word recognition, and goal number 14 aligned with grade two standards for reading comprehension. In the June 15, 2010 IEP, goal number 16 addressed Student’s needs in the areas of written expression and attention. The goal required Student, upon receiving a written assignment, to create a graphic organizer or outline of idea, and produce a first draft with consistent focus. Goal number 17 addressed Student’s needs in understanding basic math concepts. The goal required Student to solve addition and subtraction problems with addends up to 10. The IEP provided for measurement of these goals through teacher charting. In the SLDC proposed goals, Mr. Clements had made similar suggestions, and goal numbers 16 and 17 represent minor modifications in his proposed goals. Ms. Steinbrunn testified that goal number 16 aligned with grade two curriculum standards for writing, and goal number 17 aligned with grade one standards for number sense. Finally, goal number 18 was another occupational therapy goal that addressed Student’s needs in the areas of sensory integration, behavior regulation, expressive language and pragmatics. The goal stated, in part: “By 06/15/2011: When presented with unexpected sensation. . . (Student) will respond in an appropriate manner without behavioral overreactions. . .” The IEP provided for measurement of the goal through observation and charting. Dr. Lindquist testified that he originally conceived the goal as one involving a “bumper car” in order to help Student with his hypersensitivity to sound and touch. Tracey Ravanzo testified that she collaborated with Dr. Lindquist in revising his proposal. Placement full-time in the mild-moderate special day class at Judson & Brown Elementary which is Student’s home school. Individual speech therapy in two 30 minute pull-out sessions each week. Small group speech therapy in one 30 minute pull-out session each week to address social skills. In-class speech therapy collaboration services in one 30 minute session each week to help Student generalize skills across settings. Individual occupational therapy in one 45 minute pull-out session each week. In-class occupational therapy collaboration services in one 30 minute session each week. Assistive technology in the form of an FM system in the mild-moderate special day classroom. Audiological services to monitor the FM system in the amount of 60 minutes each month. A three hour parent training course. Forty hours of training for the Judson & Brown teacher and classroom aide in autism spectrum disorders and strategies for instruction. In this regard, the offer provided that, in order for the District to prepare for this training, Parents needed to provide consent for the IEP on or before July 26, 2010. Transportation to and from home and the public school placement. A referral to the Department of Behavioral Health, a county mental health agency, to address social emotional needs. Participation in the following general education activities at Judson & Brown: recess, lunch, assemblies and “enrichment” which included classes in physical education, art and music. Extended school year placement at Judson & Brown for 20 days during the 2010 summer. 94. The June 15, 2010 IEP document provided the following under Service Options Considered to Address Least Restrictive Environment: “general education, SAI-SDC, SAI-pull out, NPS, LSH, OT.” The abbreviation “SAI” refers to specialized academic instruction. The abbreviation “LHS” refers to language-speech-hearing services. The IEP stated that Student would receive 30 hours of instruction each week, and that he would spend 23 percent of this time in general education. The IEP provided the following rationale for placing Student at Judson & Brown and not SLDC: “needs can be met at home school.” The IEP specified Parents’ concerns for enhancing Student’s education: “for (Student) to continue to establish basic skills, to prepare for re-entry into general education, specifically in reading, language, math, social skills and behavioral self-regulation.” The IEP specified that the District would provide Parents with a report of progress each trimester. 95. Michelle Williams is the teacher of the mild-moderate special day class at Judson & Brown that the June 15, 2010 IEP proposed placing Student. Ms. Williams has a master of arts in education and holds an educational specialist credential for mild to moderate disabilities. She has served as a special education teacher for the Redlands Unified School District since 2005. She has experience teaching children on the autism spectrum. She has experience implementing research-based teaching methodologies and adapting instructional procedures to the individual needs of her pupils. In fact, in her class, she utilizes researchbased instructional methods such as Houghton Mifflin, REACH and Handwriting Without Tears. Tracey Ravanzo testified that she has provided Ms. Williams and her classroom aides with training in sensory integration strategies. Ms. Williams testified at the due process hearing, and she was a credible and persuasive witness. Ms. Williams stated that, for the 2010-2011 school year, she has 13 pupils in her class and one classroom aide. She testified that she could implement and measure progress for a majority of the goals in the June 15, 2010 IEP. She stated that she has experience teaching pupils with Student’s learning profile and needs, including knowledge of methods to prompt and redirect a child with attention problems. She stated that she has experience teaching and working with an FM system. She testified that, in her opinion, had Student attended her class under the June 15, 2010 IEP, he would have received educational benefit. 96. Several District witnesses, including Dr. Kuhn, Diane Aldama and Todd Rossi, testified that, in their opinion, the plan offered in the June 15, 2010 IEP was reasonably calculated to provide Student with educational benefit. District witnesses unanimously testified that, except for placement at the Speech and Language Development Center, the June 15, 2010 IEP matched the program that Student enjoyed at SLDC for the 2009-2010 school year. Both Cassandra Steinbrunn and Diane Aldama noted that, with the proposed mild-moderate special day class at Judson & Brown Elementary, Student would receive the same type of small class, special education teacher and instructional strategies that SLDC provided. Dr. Kuhn stated that the IEP offered related services in the form of speech therapy, occupational therapy and audiological services that were comparable to the same services that SLDC provided. Dr. Kuhn also testified that the offer of 40 hours of training in autism spectrum disorders and instructional strategies was substantial and based upon questions and comments made by the attorney representing Parents at the IEP meeting. Ms. Aldama indicated that the offers of parent training and the referral to county mental health were based upon the results obtained in her social, emotional and behavioral assessments of Student. In particular, on the Vanderbilt ADHD Parent Rating Scale, Mother reported behaviors associated with oppositional defiance-conduct disorder, suggesting the need for possible support. In addition, Dr. Kuhn and Ms. Steinbrunn testified that the offer of parent training complied with recommendations made by both Dr. Palafox and Bob Chen. Dr. Kuhn also testified that, although use of an FM system for children with autism was not a research-based intervention, the team offered implementation of a classroom sound amplification system in response to the comments of Dr. Olander and the wishes of Parents. 97. In contrast, Student did not present a witness who testified that, after reading the June 15, 2010 IEP and considering his unique needs, the June 15, 2010 IEP, taken as a whole, was not reasonably calculated to provide him with an educational benefit. Instead, Student presented evidence that the IEP either contained too little or nothing at all in the way of the placement and services that he required. Dr. Jerry Lindquist testified that, in his opinion, the June 15, 2010 IEP did not offer Student a sufficient amount of occupational therapy services, and that Student needed what he is receiving at SLDC: (1) two 50-minute individual pull-out sessions each week at the site where he attends school; (2) 30 minutes a week of treatment and collaboration in the classroom; and (3) occupational therapy support in a social group like the After School Club. Sara Jones testified that the June 15, 2010 IEP offer of 30 minutes of speech therapy in a small group pull-out session would not meet Student’s needs in the social arena, but she also stated that the District offer of two hours of speech therapy services would provide Student with educational benefit. In her May 2010 Progress Report, Dr. Palafox recommended a continuation of the parent training that, hitherto, the District had funded. At the hearing, Dr. Palafox testified that, as Student will need support into adulthood, her parent training was designed to help Parents with this process. She did not testify that Student required counseling or mental health services in order to benefit from special education. Dr. Olander testified that, in her opinion, a District audiologist would need to engage in much planning in order to implement at Judson & Brown the same type of sound amplification system and audiological services that Student received at SLDC. 98. The parties disputed whether the June 15, 2010 IEP document required a description of the aide support that Student would receive at Judson & Brown. Student witnesses established that he required aide support during unstructured activities outside of the classroom, including lunchtime, recess on the playground, assemblies and the bus ride to the motor therapy room. Several witnesses, including Jeffrey Clements, Bob Chen and Dr. Lindquist, testified that, if left alone during unstructured time at school, Student will isolate from classmates and play alone. In rather vivid testimony, Trisha Pfeiffer stated that, without aide support on the playground, Student would be subject to “social slaughter.” However, Cassandra Steinbrunn testified that a classroom aide is part of a mild-moderate special day class at District schools. She also stated that teachers, aides and monitors are present when children from the special day classes are at lunch and on the playground. She stated that a one-to-one aide is considered a related service which is designated in an IEP offer, but that a classroom aide is a support which does not require specification in an IEP document. Michelle Williams testified that she and her aide could adjust their break and lunch schedule to accord with the needs of her pupils, and that, if she needed additional classroom aide support in the class, she could make this request to the District and East Valley SELPA. There were no witnesses who stated that Student required a one-to-one aide during unstructured activities; instead, the evidence established that he required simple prompts and redirection to interact with other pupils. 99. Regarding Student’s move from SLDC to a public school setting, both Diane Aldama and Cassandra Steinbrunn testified that the June 15, 2010 IEP contained “built-in” transition supports. These supports included the 20-day extended school year program which would acclimate Student to the Judson & Brown campus and acquaint him with some of his classmates, the fact that he would start school on the first day of the school year with supports that were comparable to the SLDC setting, the proposed 40 hours of training for both Ms. Williams and classroom aides that would work in her classroom, and the support that Dr. Kuhn could provide in her capacity as the East Valley SELPA autism specialist. 100. The parties disputed the delivery of the proposed offer of pull-out occupational therapy services. The June 15, 2010 IEP adopted the recommendation in Ms. Ravanzo’s reassessment, that Student receive direct occupational therapy services at the East Valley SELPA motor therapy room. At hearing, Ms. Ravanzo testified that the motor therapy room is situated at Kimberly Elementary which is located three miles from Judson & Brown. She stated that, by bus, the trip between schools takes 10 minutes. In contrast, Mother testified that the proposed bus ride to the motor therapy room was a “huge issue” for her. She stated that the bus ride takes over 20 minutes one way, and that Student required aide support because he perseverates on yellow buses and presents as a safety risk if unattended. 101. The parties disputed whether the proposed mild-moderate special day class at Judson & Brown or SLDC was the least restrictive environment for Student. Nobody stated that Student should receive his education in a regular classroom setting. In fact, Diane Aldama testified that, based upon the results of her psychoeducational assessment, a mild-moderate special day class was the appropriate placement for Student. She stated that Student did not exhibit problem behaviors that warranted placement in a private school. She noted that, as social relationships are an area of deficit for him, the time that Student spent in the car driving to and from SLDC could be better spent with peers at school or in the community. Michelle Williams testified that her pupils have an opportunity to mainstream with the general education population at Judson & Brown during lunchtime, recess, assemblies, field trips and enrichment classes like music and art. Included among such activities, she stated that Judson & Brown has a Jogging Club where each morning before class students and teachers jog about the playground. In contrast, Student witnesses emphasized that SLDC practices reverse inclusion which means that Student has one or two typically developing peers within his classroom, and that Student has access to a larger number of typically developing classmates during recess and assemblies. Mother also testified that she does not mind commuting to and from Buena Park, based on Student’s success at SLDC and the fact that his service providers are located at one location. 102. As with the May 24, 2010 IEP meeting, the parties disputed the extent to which Parents and their representatives meaningfully participated in the June 15, 2010 meeting. Mother testified that the team failed to discuss numerous subjects of interest to Parents, including the continuum of placement options, the reason for placement at Judson & Brown over SLDC, the background and training of the teacher and aides at the proposed placement, the curriculum and behavioral supports at Judson & Brown, the installation of the FM system in the new classroom and the wearing schedule for Student’s personal hearing device, the bus ride from the home school to the motor therapy room, and the transition from SLDC to the public school. Mother further expressed her frustration that Dr. Palafox did not attend the meeting, and that the team did not discuss the recommendations in her May 2010 Progress Report, including the teaching strategies set forth therein. Several Student witnesses supported this viewpoint. Bob Chen testified that he considered the June 15 IEP meeting a “waste of my time” because the team did not discuss all the reports in the information packet previously provided by Mother. Mr. Clements testified that he was surprised that the team revised several of his academic goals without further discussion. Otherwise, the SLDC staff who attended the meeting, including Mr. Clements, Dr. Lindquist, Sara Jones and Trisha Pfeiffer, recalled a back-and-forth discussion in which they did not voice any objections. 103. Not surprisingly, District witnesses presented a different picture of the June 15, 2010 IEP meeting. District witnesses recalled that team members did not complain that they were not allowed to speak, that their questions were unanswered, or that Dr. Palafox was not present. The District team members were very aware that Parents wanted placement at SLDC, not only from the statements by Parents but also from the recommendations made in the reports and letters in the information packet prepared by Mother. Both Ms. Aldama and Cassandra Steinbrunn testified that the meeting was not abruptly ended and that there was ample time for discussion. In fact, the IEP notes corroborate the District perspective. The notes indicated that the team discussed Student’s “escape-based behaviors”; that the attorney representing Parents asked questions about teacher training and research-based instruction; and that Mr. Chen inquired about whether the team considered Mother’s information packet. Both Ms. Aldama and Todd Rossi further testified that they were not instructed to decide against SLDC, that the team was intent upon making a decision based on the data concerning Student, and that the team did not predetermine the eventual offer of placement and services. 104. On June 16, 2010, Ms. Steinbrunn prepared and caused to be sent a letter to Parents. The letter contained the IEP document from the June 15 meeting. The letter also contained an authorization form which is a necessary step in making the referral by an educational agency to a county department of mental health. 105. On the same day, Mother sent a letter to Cheryl Sjostrom. The letter concerned Student’s placement for the 2010 extended school year. In the September 2009 Mediation Agreement, one of the contract terms provided that, for the 2010 extended school year, Parents will place Student at a District elementary school, and, in exchange, the District would fund instruction for Student at a Lindamood Bell facility. Pursuant to this term, in early June 2010, the District sent Parents information and registration forms for the 2010 extended school year which would be provided at Judson & Brown Elementary. In her June 16, 2010 letter, Mother informed the District that she was unilaterally placing Student at the Speech and Language Development Center for the 2010 extended school year, and she requested the District to fund this placement. 106. On June 23, 2010, Ms. Steinbrunnn sent a document entitled “Prior Written Notice” to Parents. The Prior Written Notice addressed two actions requested by Parents and refused by the District: (1) Mother’s request for the District to fund the placement of Student at SLDC for the 2010 extended school year, and (2) Mother’s request at the May 24, 2010 IEP meeting, via the Progress Report of Dr. Palafox, for continued cognitive therapy services through Dr. Palafox. The Prior Written Notice explained the reasons for the refused actions, which largely pertained to the educational plan offered in the June 15, 2010 IEP. In this regard, the Prior Written Notice specified that, opposed to cognitive therapy through Dr. Palafox, the IEP offered Student a referral to the county mental health department in order to address his social and emotional needs. The Prior Written Notice also contained a description of the information underpinning the refused actions which included the evaluations performed by the District assessors, and the packet provided by Mother at the May 24, 2010 IEP meeting. At hearing, Ms. Steinbrunn testified that the June 15, 2010 IEP document served as the District’s prior written notice for the decision to place Student at a public school over the SLDC. In this regard, the subject IEP contained a description of the proposed placement and services, an explanation that Student’s “needs can be met at home school,” and a description of the assessments supporting this decision. 108. A state statute requires an educational agency to file for due process whenever the agency offers an educational program through an IEP, the parents do not consent to the program, and the agency takes the position that the program offered the special needs pupil a free appropriate public education. (Ed. Code, § 56346, subd. (f).) In this case, Student contends that the District violated this provision through an untimely filing of the pending Request for Due Process Hearing. In this regard, after the June 15, 2010 IEP meeting, on August 23, 2010, Parents, through counsel, filed a due process complaint with OAH which assigned the matter case number 2010080927. The complaint alleged, in pertinent part, that Redlands Unified School District denied Student a free appropriate public education for the 2010-2011 school year through the June 15, 2010 IEP. On November 22, 2010, OAH conducted a prehearing conference in case number 2010080927, and set the matter for hearing on 10 days in December 2010. A day later, Student abruptly dismissed the complaint without prejudice. 109. On December 22, 2010, Parents, through counsel, filed with the California Department of Education (CDE) a Compliance Complaint charging that the District had violated Education Code section 56346, subdivision (f), by not filing a due process complaint after Parents did not consent to the June 15, 2010 IEP. Counsel for Parents filed the Compliance Complaint with CDE during the winter break at the District and he failed to serve the document upon the attorney for the District, despite the fact that the two attorneys had been engaged in ongoing communication regarding Student. On January 3, 2011, after the end of the Christmas holidays, staff at the District first learned of the Compliance Complaint. Two days later, the District, through counsel, filed the pending Request for Due Process Hearing in this matter. On February 15, 2011, CDE issued a Compliance Complaint Report finding that the District had failed to meet the requirements of the Education Code. 1. In a special education administrative due process proceeding, the party seeking relief has the burden of proof. (Schaffer v. Weast (2005) 546 U.S. 49 [126 S.Ct. 528, 163 L.Ed.2d 387].) In this case, the District has brought the complaint and has the burden of proof. 9. In considering the substance of an educational plan, “(T)he test is whether the IEP, taken in its entirety, is reasonably calculated to enable the particular child to garner educational benefits.” (Lessard v. Wilton-Lyndeborough Cooperative School Dist. (1st Cir. 2008) 518 F.3d 18, 30 (italics added) (Lessard); see also T.Y. v. New York City Dept. of Educ. (2nd Cir. 2009) 584 F.3d 412, 419 [judging the “IEP as a whole”].) Further, a court or tribunal must judge an IEP at the time of its development, not in hindsight. (JG v. Douglas County School Dist. (9th Cir. 2008) 552 F.3d 786, 801 (Douglas County); Tracy N. v. Department of Educ., Hawaii (D.Hawaii 2010) 715 F.Supp.2d 1093, 1112.) Here, under this “snapshot rule,” evidence of events that occurred after the June 15, 2010 IEP meeting are largely irrelevant in evaluating the appropriateness of the IEP which is the subject of this case. 11. In this case, the District’s Request for Due Process Hearing presents issues of both procedure and substance. The issues of procedure concern the appropriateness of the assessments of Student performed by the District, the numerous contentions that Student has raised against the propriety of the District assessments and IEP process, and the appropriateness of the District’s prior written notice. In keeping with the directive from Rowley, except for the issue concerning prior written notice, this Decision will first determine if the District acted in compliance with the contested procedures, and then address the issues of substance. 13. As regards the assessment process, special education law references “initial evaluations” (20 U.S.C. § 1414(a)(1)(A); 34 C.F.R. § 300.301 (2006); Ed. Code, § 56320), and “reevaluations.” (20 U.S.C. § 1414(a), (c); 34 C.F.R. § 300.303 (2006); Ed. Code, § 56381, subd. (a)(1).) “An initial evaluation of a child is the first complete assessment of a child to determine if the child has a disability under the Act, and the nature and extent of special education and related services required. Once a child has been fully evaluated. . . any subsequent evaluation of a child would constitute a reevaluation.” (71 Fed.Reg. 46640 (Aug. 14, 2006). By this standard, the assessments in this case are reevaluations of Student. Issues 1, 2 and 3: Were the District’s occupational therapy, speech and language and psychoeducational assessments of Student appropriate? 29. The determination that the District performed appropriate occupational therapy, speech and language and psychoeducational assessments of Student is supported by Factual Findings, paragraphs 1-3, 5, 16, 34-45, 53-77, 78-80, 84, 85 and 89, and Legal Conclusions, paragraphs 12-20 and 21-28. 44. At an IEP meeting, the parents of a child with a disability do not have a veto power over the proceeding. (Vashon Island, supra, 337 F.3d at p. 1131.) Likewise, just because the team does not adopt the placement preferred by parents, does not mean that the parents have not had an adequate opportunity to participate in the IEP process. (B.B. v. Hawaii Dept. of Educ. (D.Hawaii 2006) 483 F.Supp.2d 1042, 1051.) Here, Parents had an adequate opportunity to participate in the development of the IEP for Student, and, therefore, they meaningfully participated in such process. 50. An educational agency must have an IEP for a special needs child in effect at the beginning of each school year. (20 U.S.C. § 1414(d)(2)(A); 34 C.F.R. § 300.323(a) (2006); Ed. Code, § 56344, subd. (c).) Student contends that the District violated this standard because he did not have an IEP in place for the current school year. Quite clearly, Student did not have an IEP in place because Parents did not consent to the June 15, 2010 IEP offer. In such case, there is no procedural violation. (See C.H. v. Cape Henlopen School Dist. (3rd Cir. 2010) 606 F.3d 59 (Cape Henlopen). 51. Based upon the foregoing, the District complied with the relevant procedures that govern the development of an IEP. This determination is supported by Factual Findings, paragraphs 12, 16-17, 21, 32-52, 53-77, 81-103, and Legal Conclusions, paragraphs 7-10 and 30-50. 52. Education Code section 56346, subdivision (f), provides, in part: “if the local educational agency determines that the proposed special education program component to which the parent does not consent is necessary to provide a free appropriate public education to the child, a due process hearing shall be initiated. . .” Student contends that the District violated this provision through an untimely filing of the Request for Due Process Hearing in this matter, and that this violation constitutes harmful error. 53. The underlying facts reveal that this contention is largely a matter of gamesmanship. Parents did not consent to the June 15, 2010 IEP. On August 23, 2010, through their attorney, Parents filed for due process contending that the June 15, 2010 IEP denied Student a FAPE. In filing for due process, Parents exercised their independent right to bring a complaint on any matter relating to the identification, evaluation or educational placement of a child with a disability, or the provision of a free appropriate public education to the child. (20 U.S.C. § 1415(b)(6); 34 C.F.R. § 300.507(a)(2006); Ed. Code, § 56501, subd. (a).) By bringing their own complaint, Parents negated the need for the District to file a separate action. Clearly, the mandate under Education Code section 56346, subdivision (f), is to require a school district to justify an educational decision concerning a child with a disability, and this purpose is satisfied when parents file their own action. 56. The determination that the District did not commit a procedural violation of Education Code section 56346, subdivision (f), is supported by Factual Findings, paragraphs 108-109, and Legal Conclusions, paragraphs 7-10 and 52-55. Issue No. 4: Did the District offer Student a FAPE in the LRE in the June 15, 2010 IEP? 61. Parents made clear that their preference for Student was placement at the Speech and Language Development Center. For the first time in his academic career, Student was achieving academic and social success, and he received all related services at one location. However, starting with Rowley, courts have held that an educational agency is not held to a standard of parental preference. (Rowley, supra, 458 U.S. at p. 197, fn. 21 [the IDEA does not require a potential maximizing education]; see also Blackmon v. Springfield R-XII School Dist. (8th Cir. 1999) 198 F.3d 648, 658.) Stated otherwise, “(T)he IDEA does not place school systems under a compulsion to afford a disabled child an ideal or an optimal education.” (C.G. v. Five Town Community School Dist. (1st Cir. 2008) 513 F.3d 279, 284.) An appropriate education under the IDEA need not be “the only appropriate choice, or the choice of certain selected experts, or the child’s parents’ first choice, or even the best choice.” (G.D. v. Westmoreland School Dist. (1st Cir. 1999) 930 F.2d 942, 948 (italics in text).) In short, “(T)he assistance that the IDEA mandates is limited in scope. The Act does not require that States do whatever is necessary to ensure that all students achieve a particular standardized level of ability and knowledge. Rather, it much more modestly calls for the creation of individualized programs reasonably calculated to enable the student to make some progress towards the goals with that program.” (Thompson R2-J School v. Luke P. (10th Cir. 2008) 540 F.3d 1143, 1155.) Here, while the SLDC is undeniably a wonderful placement for Student, the proper focus is on the District’s offered educational plan, which was reasonably calculated to confer Student with educational benefit. 65. The determination that, in the June 15, 2010 IEP document, the District offered Student a FAPE in the least restrictive environment is supported by Factual Findings, paragraphs 1-3, 5, 9, 10, 31, 35-39, 53-77 and 81-103, and Legal Conclusions, paragraphs 310 and 57-64. Issue 5: Did the District provide Parents with appropriate prior written notice? 68. The District provided Parents with appropriate prior written notice in both the June 15, 2010 IEP document, and the June 23, 2010 notice letter prepared by Cassandra Steinibrunn. This determination is supported by Factual Findings, paragraphs 32-52, 81-103, and 104-107, and Legal Conclusions, paragraphs 7-10 and 66-67. The District’s occupational therapy, speech and language and psycheducational assessments were appropriate. The June 15, 2010 individualized education program offered Student a free appropriate public education in the least restrictive environment. The decision in a special education administrative due process proceeding must indicate the extent to which each party prevailed on issues heard and decided. (Ed. Code, § 56507, subd. (d).) Here, the District prevailed on each issue presented.